I like happy endings and I like closure. So I’m perfectly satisfied with what could have been the series finale. Luckily, we will get a season six; sure it’s only going to be thirteen episodes and we need to wait a year, but we do that already the premium cable networks, why not ABC? I’m thinking the timing has a lot to do with the next Avenger movie, more than anything else. By waiting until summer, they won’t have to deal with the events of Infinity War. I was waiting for AoS to have a very similar ending to IW and I’m so happy that wasn’t the case. I’m happy the time loop was broken and all the agents live to fight another day (mostly). Fitz and May saved Polly and Mack, two people they knew didn’t make it the Lighthouse after the Earth went kablooey. Of course, after saving them, Fitz had to stand extremely close to the edge of the destroyed rooftop and spaceship. (Warning: after doing something heroic never separate from the group, it leads to certain death!) 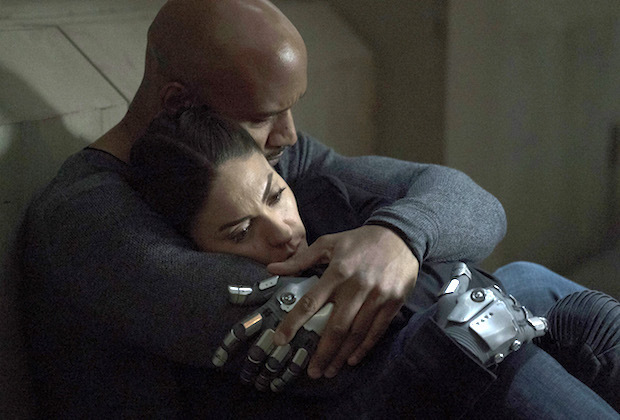 When Talbot crashed into the ground with Daisy, it caused rubble to fall on Fitz and he was uncovered in time for May and Mack to watch him bleed out. It was a great death scene and Iain De Caestecker did a great job, but not as poignant for me as other television deaths have been—because I knew this is how they would deal with the little fact that Fitz took the long way to the future. He and Enoch are in space not too far away and I have no doubt Simmons will find them. (This isn’t even the weirdest thing that has kept them apart.) This also erases all the bad stuff Fitz did, because frozen Fitz isn’t the one that tortured Daisy or locked up Mack. This is the ultimate do-over. Coulson also got to have a death scene, but his was a little quieter and not as permanent. Yo-Yo resuscitated him CPR and Coulson was able to visit real Tahiti and spend his remaining time on earth with May. This was a nice way to bring the series full circle and nice happily ever after, even if it may be brief. I like that Coulson stood by his choice to not unnaturally extend his life again, as was his choice. I feel this was a nice send off to an amazing character. I would be okay with this truly being the end of this character, but I wouldn’t be mad if he made a miraculous recovery and came back for the next season. 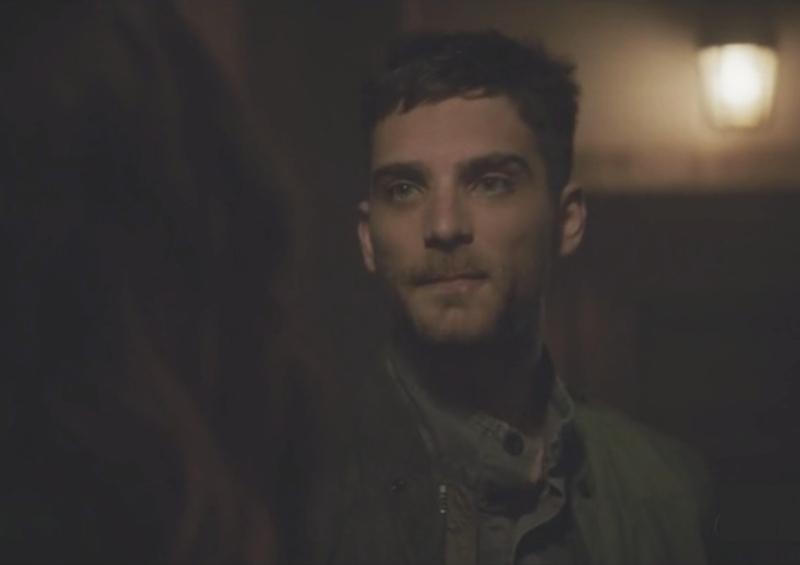 Another character I would like to see back is Deke. He left to see the world outside of the Lighthouse before it was destroyed or before he blinked out of existence—the world didn’t end, but that doesn’t mean he has to blink out of existence. There could be a time-traveling loophole written in. I’m rooting for his return because I would like to see how he would continue to develop. Growing up in the Lighthouse, it was every person for themselves and he was very good at that. He would run at the first sign of trouble, but as he continued in the present, he was fighting those instincts and trying to better himself. I would like to see how he turns out and I think SHIELD would be a good place for him. 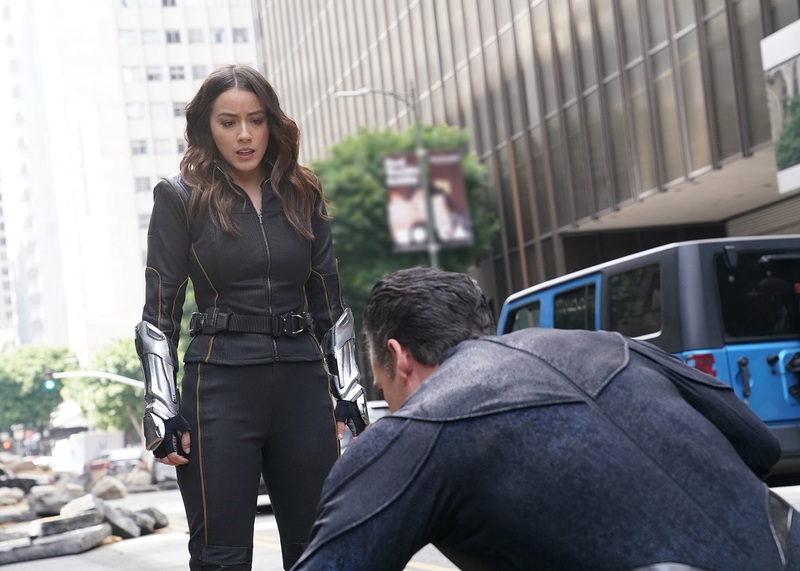 I thought it was super awesome that this episode brought SHIELD out of the shadows once again and they went back to their main mission—to help people. 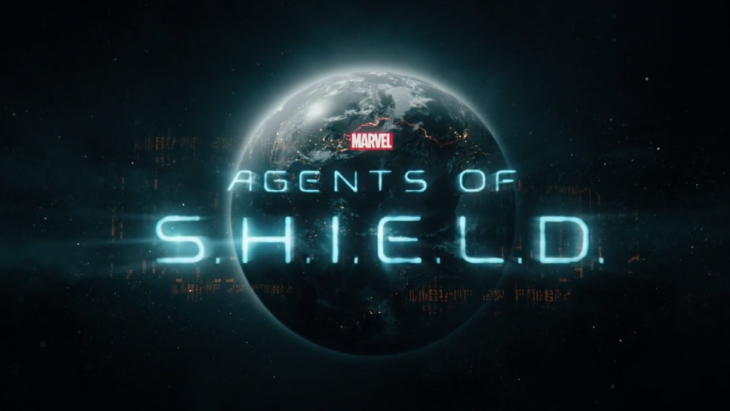 I think this gives a great opening for next season to get back to how the show started and see SHIELD once again be what the were pre-HYDRA coup and the Inhuman hysteria. I’m also curious to see how Mack does as the leader of SHIELD. I thought it was very mature of Daisy to step down and hand over the reigns to Mack. I don’t always agree with his views on things, but he can wrangle the group better than Daisy could. Her strengths lie elsewhere—as we saw when she gave Talbot the smack down. (It would have been corny, but how great would it have been if Talbot bumped into Ebony Maw floating around in space?) Again, I’m so happy this isn’t permanent goodbye to the agents—I can’t wait to see you all again next summer!